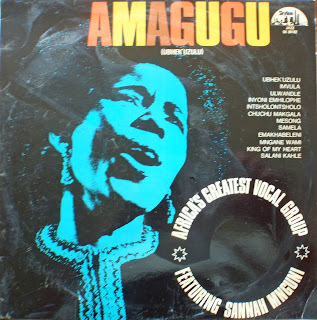 "Africa's Greatest Vocal Group": goes the front cover marketing hyperbole from 1974. 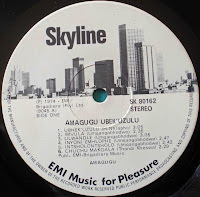 Amagugu were certainly vocally very strong though - sultry, velvet harmonies. 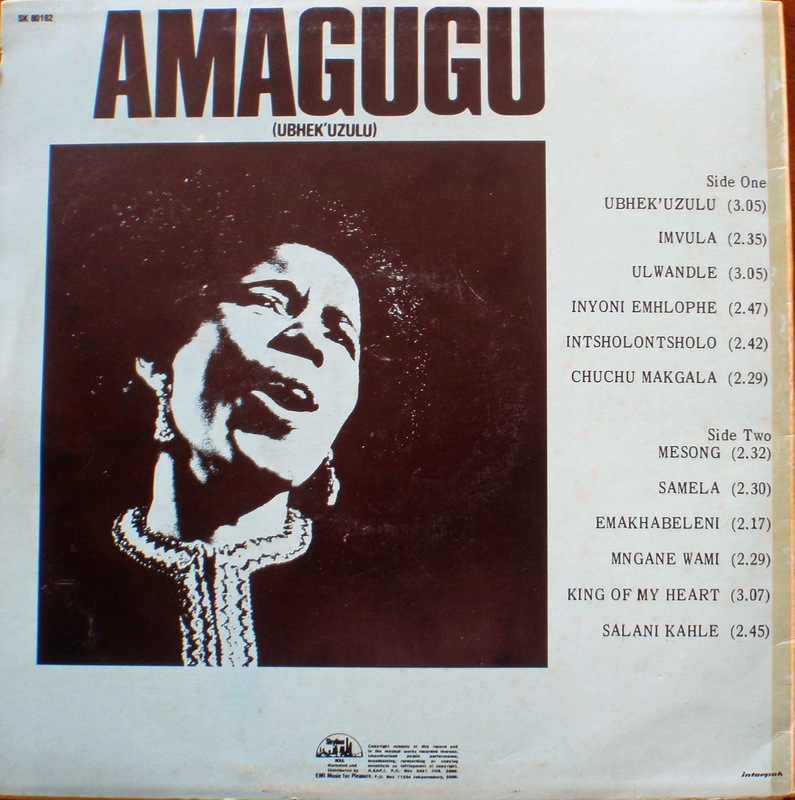 Add legendary lead guitarist and arranger Hansford Mthembu to the girl group and groaner mix, and you have a very strong mbaqanga album. "The regular members of Amagugu during this time included Sannah Mnguni (lead vocals), her sister Francina 'Thopi' Mnguni, Thoko Khumalo, Liliah Vilakazi and Thandi Kheswa (who was a Mahotella Queens member from around 1969 to 1974). The lady photographed on the front cover isn't Sannah - it looks like it could be Thandi Kheswa, but I'm not sure. The male groaner is Harry Nhlapo who later joined Abafana Baseqhudeni at Mavuthela, and at one point sang with the Queens. 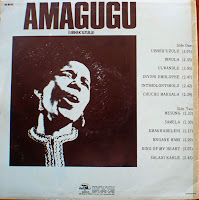 "The lead guitarist on this LP is Thopi's husband Hansford Mthembu, one of the legendary mbaqanga players of all time and one of the crafters of Amagugu's sound. Kali Monare is the drummer. Titus Masikane, credited with writing two of these songs, was the group's producer and manager. "I don't know who or what the "Umqangabodwe" credited as having written four songs was, but producers of the time would habitually invent random names to replace the name of the real composer, possibly to collect the ensuing royalty fee for themselves." I just happened to find your blog the other day and downloaded this absolute work of art -- one of the best albums I've ever heard. I've been mesmerized the moment I listened. It's so good, I can't believe it. I can't believe it. Zwai I am humbled, honored and excited to read what you say - thank you. 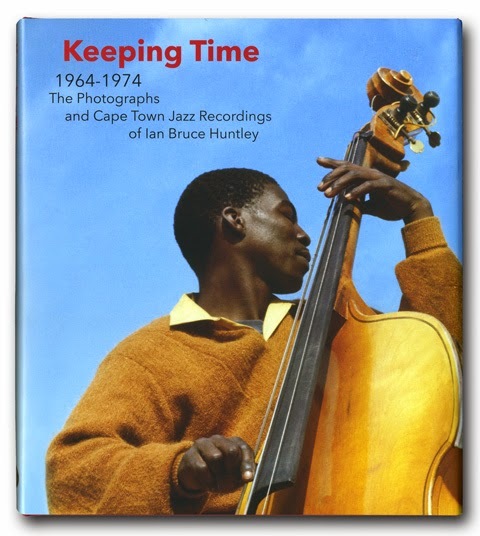 Your feedback tells us we are reaching towards our purpose in catching the attention of more people to the wonderful musical heritage that South Africa has - and to make sure that these out of print and unobtainable creations do not become forgotten and lost. Siyafundanke.